For: Children 3-5-years-old by December 1 of that school year. Children attending kindergarten are welcomed to enroll. View video of our activities! The Creative Arts Lab is a one day per week art enrichment class for three to five-year-olds, including kindergartners. We do the messy projects you may not want to do at home! Each week we offer a new curriculum theme for the children’s program with a large variety of hands-on, experiential art and creative activities. The children move freely between stations, exploring, paints, clay, drawing materials, collage, and a variety of printing techniques. We also offer block play, puzzles, math manipulatives, books related to each theme, and imaginary play opportunities. In circle time, we read stories and sing songs, then go outside for playground time. In this slideshow: http://youtu.be/N5t81cZNr1A you can see all the activities we did in just one day in the fall. (For directions on how you can do these activities at home, check out: www.pinterest.com/bcparented/cdl-apples/). The Creative Arts Lab class is a cooperative learning program with parents (moms, dads, grandparents…) volunteering in the classroom six times throughout the school year. Parents also attend one parent education class per month regarding parenting and family life with a preschool or kindergarten age child. The classes are offered twice a month and parents can decide which day works best for them. Parent education classes are held at the same time the children’s class meets. Parents need to arrange childcare for non-enrolled siblings during their volunteer and parent education class days. Ages: Your child should be three years old by December 1st for the school year starting that fall quarter. Kindergarten children may attend the class. Siblings from the same family may attend if they are between 3-5 years old and meet the birth date requirement. Younger children will be placed if there is room in the class. Classes are held in Bellevue but serve families from all Eastside communities, including Redmond, Kirkland, Issaquah, Mercer Island and many more. To register for a class, go to our online registration form. Tuition cost is $245 per quarter (fall, winter, and spring). 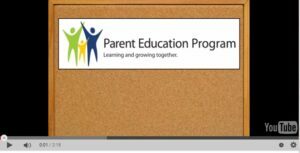 Parent Education Program fees include parents’ Bellevue College tuition as well as tuition for the children’s program. Scholarships are available to registered families in need; the confidential application is made through the class instructor. Specific priority for the Creative Development Lab: A second child from the same family will pay 20% less.